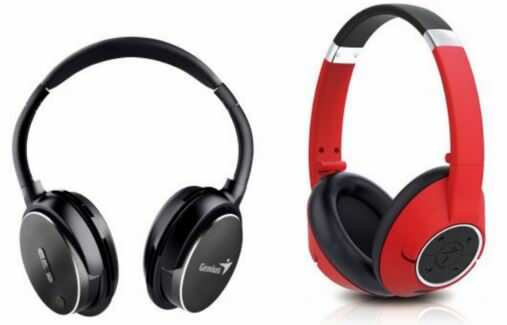 Computer and mobile accessories manufacturer Genius has launched two new Bluetooth-enabled headphones in India called the HS-930 BT and HS-940 BT. They come with over-the-ear designs and swivel earcups. The accessories support most Bluetooth-enabled mobiles, tablets and computers. The Genius HS-930 BT headset features 40mm Neodinium drivers, a built-in microphone, a button to answer incoming calls, extra-soft leather earcups, a foldable headband, a carry pouch, and an built-in battery that offers 15 hours of audio playback. The Genius HS-940 BT headphones on the other hand, offer a 30-metre wireless working distance, and a battery that delivers up to 20 hours of audio playback. The Genius HS-930 BT and HS-940 BT headsets have been priced at Rs 2,925 and Rs 3,250 respectively. They will be available via major brick-and-mortar retail stores across the country, and on e-commerce portals like Flipkart, Snapdeal, Amazon and eBay among others.